Those of us who couldn’t get to the Big Easy for Mardi Gras this year have a local option. 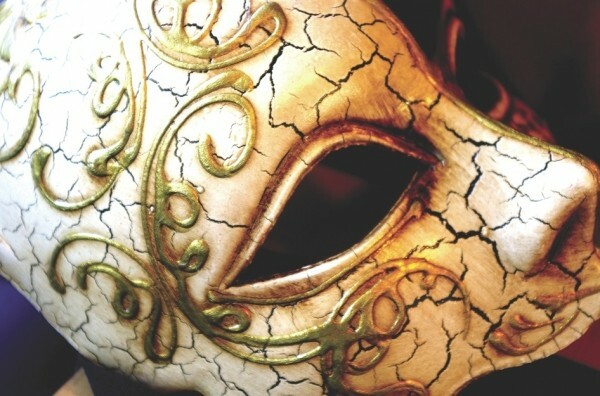 The University Park Marriott Hotel (480 Wakara Way) will host the Fourth-Annual Mardi Gras Masquerade Ball on Saturday, Feb. 23, from 8 p.m. to 1 a.m. The bash will be hosted by New Orleans natives Renata and Darrell Braham, owners of the all-too-short-lived local Cajun-Creole restaurant Spoony & Nata’s. The Marriott Mardi Gras Ball will feature Cajun-Creole cuisine from the Brahams’ catering company, three cash bars featuring the famous New Orleans “hurricane” cocktail, and live music and dancing with the Sensations Soul Band. The John Flanders Jazz Quartet will also perform, and there will be a costume parade, henna tattoo artists, tarot-card readings, carnivale acts and more. Tickets are $50 per person, available at SensationsMardiGrasBall.com. The Marriott is offering room packages starting at $179; call 801-581-1000 for reservations. You might recall the short-lived Salt Lake City steakhouse called Shula’s in the Radisson Hotel, where Copper Canyon Grill House is now located. Well, former NFL football coach Don Shula has returned to Utah, this time with an eatery in West Valley City. Shula’s 347 Grill (3524 S. Market St., 801-966-3470), in the Embassy Suites, the cornerstone of WVC’s Fairbourne Station, is open for lunch and dinner and features a wide-ranging menu that includes burgers, sandwiches, salads and steaks, plus signature entrees like wild-mushroom ravioli, braised boneless short ribs, lump crab cakes, Milanese-style chicken and pan-seared scallops. The restaurant also features a full bar and daily happy hour. Visit DonShula.com for more information. Did you know that La Caille (9565 S. Wasatch Blvd., 801-942-1751) offers a prix fixe Common Wealth menu? Yep, three courses for a mere $36. Common Wealth menu options include a jumbo prawn & lump crab cocktail, traditional coquilles Saint-Jacques, Kurobuta pork short ribs, coq au vin, creme brulee and more. Visit LaCaille.com for more information.